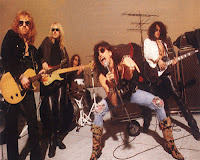 Aerosmith has been added to the Summerfest 2012 Marcus Amphitheater lineup. The famous rockers are coming to Milwaukee to rock your socks off during Summerfest on Saturday, July 7th at 8PM as a part of The Global Warming Tour. Frontman Steven Tyler vows that the band is full of energy and is ready to rock in the States after a successful overseas tour. Joined by special guest Cheap Trick, this will truly be a night of classic rock. Rock N' Roll Hall of Famers Aerosmith burst on the music scene over 40 years ago and have since sold over 150 million copies of their albums. In addition to selling millions of albums, Aerosmith has also racked up scores of awards over the years including Grammys, American Music awards, and even one Soul Train award. That's right, Aerosmith won a Soul Train award in 1979 for best rap single "Walk This Way" which was a collaboration with Run DMC. Aerosmith Summerfest tickets will become available March 31st. July 7th's Aerosmith concert at Summerfest will feature all the Aerosmith favorites as well as some of their newer songs. It's great to see that a band like Aerosmith booked for the Marcus Amphitheater during Summerfest. The last time I saw Steven Tyler perform in Milwaukee was in 2010 when he made a surprise appearance during Farm Aid. He was in town to judge American Idol auditions and popped up on stage to sing. That was definitely a nice treat. Aerosmith joins the likes of Lady Antebellum, Zac Brown Band, Beach Boys, Neil Diamond, Iron Maiden, Big Time Rush as the 2012 Summerfest Marcus Ampitheater headliners. Who else would you like to see added to the lineup?